In addition to the EAC certificate, when importing measuring instruments into the Eurasian Economic Zone (members 2017: Russia, Belarus, Kazakhstan, Armenia, Kyrgyzstan) and into the other member states of the CIS (Commonwealth of Independent States: Armenia, Azerbaijan, Belarus, Kazakhstan, Kyrgyzstan, Moldova, Russia, Tajikistan, Turkmenistan, Ukraine and Uzbekistan), the “metrological certificate” is also required. When and for which type of products a metrological approval is obligatory is explained in more detail below. Unlike with the EAC certificate, which has validity for all countries within the Eurasian Economic Union, the metrological certificate must be applied for separately for each individual CIS country. The metrological certification is a process for the state oversight of measuring equipment. As measuring equipment, a measuring instrument, a measuring system or a standard is defined as that which fulfils the task of measurement with a specified measurement accuracy. Thus, for example, according to the certification ordinance, switches, displays and diaphragm seals do not belong to the category of measuring equipment. Analogue measuring instruments with a specified measuring deviation, such as pressure gauges or pressure transmitters, do count as measuring equipment and must be certified if they are to be used in state-monitored fields. Among the state-monitored fields are healthcare, veterinary medicine, occupational safety, environmental protection, the defence industry, operational safety, trade, cartography and geodesy. In the few other cases, the certification is voluntary, but it is considered a seal of high quality and is thus required from the customer in most instances. By issuing the metrological certificate, the state’s notified body confirms that the certified measuring instruments comply with the minimum requirements of the technical regulations of the respective country and that the measuring deviation of the product is checked and also the test equipment is based on a state reference standard. In addition, the certified product is entered in the state’s register of measuring equipment. 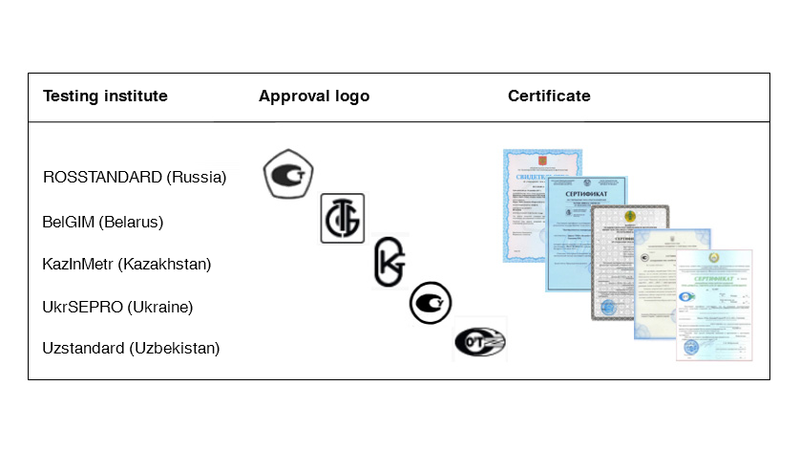 Upon receipt of the metrological certificate, the manufacturer is permitted to mark his product with the approval logo (see illustration in this article) of the respective testing institute. If the measuring equipment is to be used within the CIS in a state-monitored field, the marking with the approval logo is obligatory. Do you need a measuring instrument which offers all the certifications and accompanying documents for import into the Eurasian Economic Zone? WIKA offers a wide range of measuring equipment with metrological certificates. We look forward to assisting you in your selection. Your contact person will be happy to help you. Since 2015, I have been working at WIKA as a product manager for industrial level and flow measurement. I would like to use this platform to elaborate on questions regarding the technology, measuring principle and application of the respective products and to provide concise explanatory answers. At the same time, I look forward to receiving comments and suggestions from you.